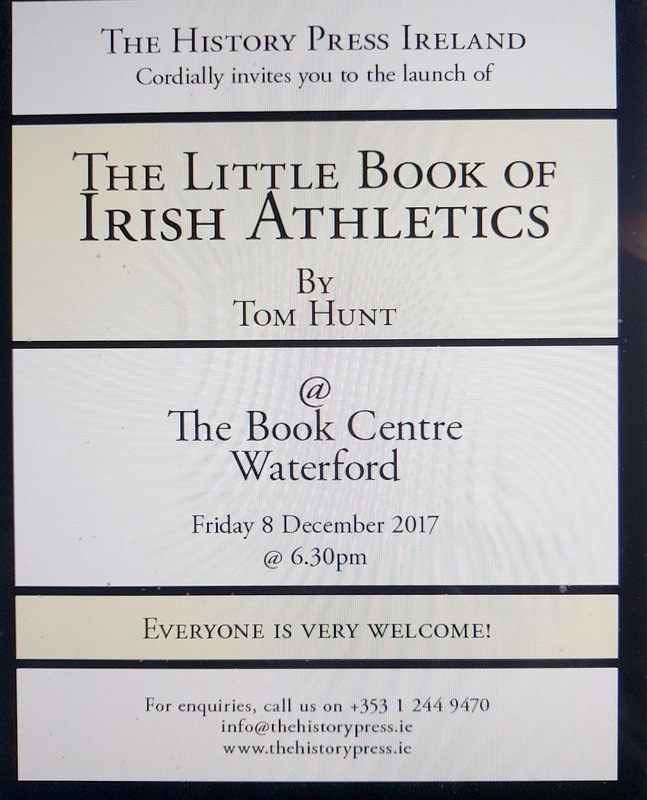 The launch of Tom Hunt's new book The Little Book of Irish Athletics published by The History Press will take place at The Book Centre Waterford on Friday 8 December at 6.30. Dermot Keyes of the Munster Express and WLRfm will launch the book. 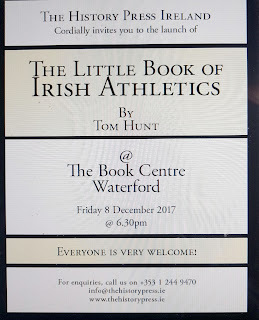 The Little Book of Irish Athletics records Irish athletic excellence in its 13 chapters. Two chapters deal with the various organisations responsible for managing the sport over 140 + years, three chapters on the achievements of Irish athletes pre-Irish independence; one on the world championships, one on the Olympics, Irish athletes and the mile, women and Irish athletics, the Irish and indoor athletics, the USA scholarships system and chapter 13 finishes with More Milestones. And a great Waterford man on the cover in the finest moment of his athletic career.